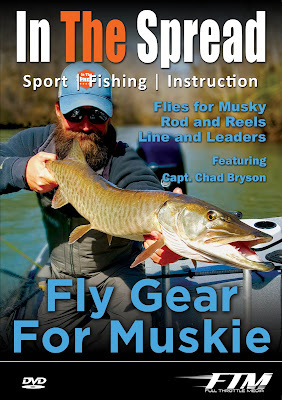 Full Throttle Media recently finished production on a new muskie fishing video for In The Spread. River System Muskie Fishing on Fly from In The Spread and Captain Chad Bryson is part of the muskie series for fly fishermen. Captain Chad highlights the river dynamics that hold muskie and how to target these powerful fish. You will also learn about why certain confluences are productive fishing areas, the water features to look for that may hold fish, presentation mechanics, rods, reels and the types of flies that produce the most success for Chad. Captain Chad Bryson is a multi-discipline fishermen with extensive skills using fly or conventional gear. He has guided and caught fish all over the southeast. His deep understanding of the water, species behavior and willingness to share will help you be a more successful angler. 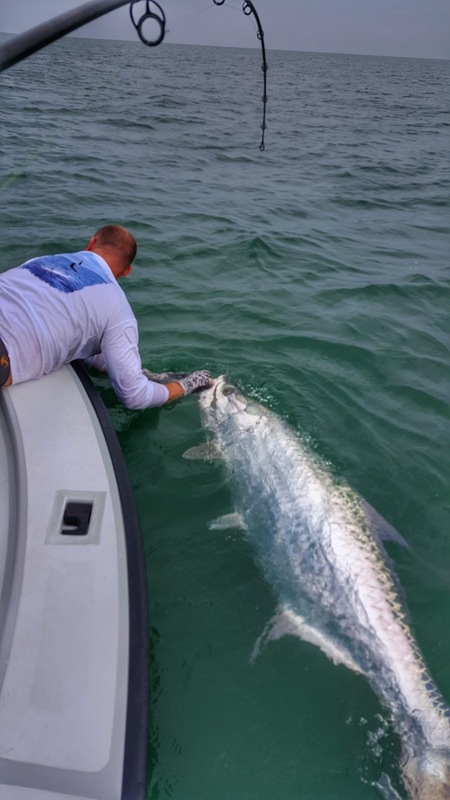 The tarpon migration is in full swing and the big fish are moving down Florida's gulf coast. One of the coolest ways to target them is by site casting live crabs. In The Spread will soon be releasing the video that Full Throttle Media just filmed in Sarasota. Full Throttle Media finalizes another sport fishing instructional video for In The Spread. 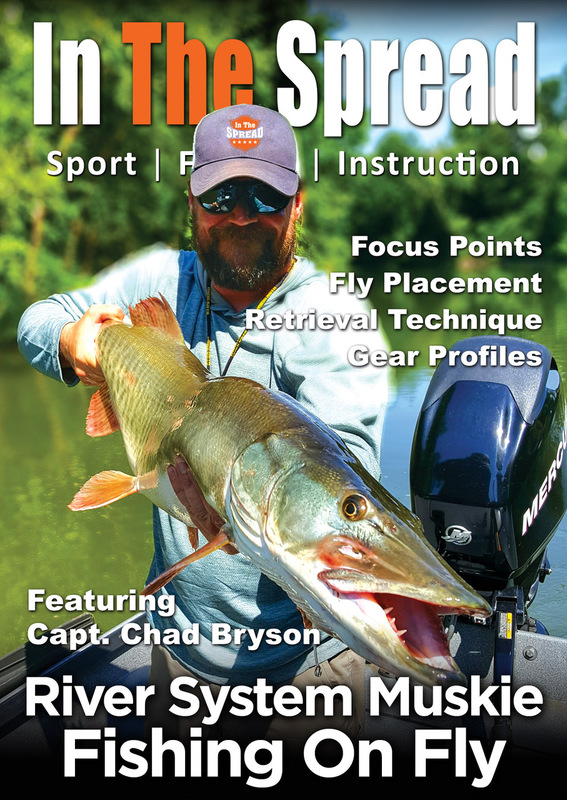 Chad Bryson shares his experience targeting muskie on fly, so you are more informed about the gear you need to fly fish for these apex predators. In The Spread and Capt. Chad Bryson bring you Fly Fishing Gear for Muskie. 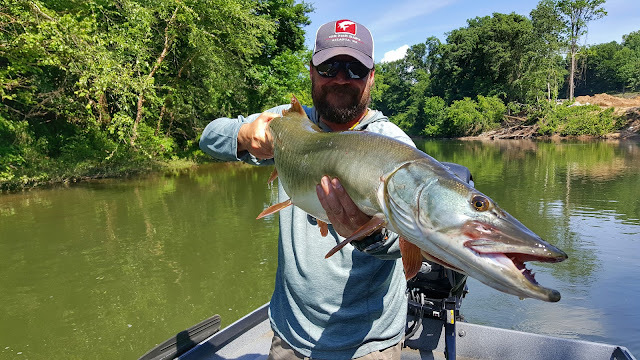 In this video, Chad shares his opinions on the rods, reels, line, leaders and flies you need to start fly fishing for musky in the southeast. We are talking about big rods, big flies and big, big fish with teeth. In The Spread with Cory Allen brings you the Southern Reservoir Muskie Fishing Series video Breaking Down Coves and Cuts. Cory is a hard-core musky angler, writer, speaker and angling personality from Tennessee. His scientific approach and deep desire to teach affords an incredible opportunity to accelerate your musky fishing learning curve. Watch as Cory shares how to break down coves and cuts. This ultra dynamic musky video scientifically breaks down the fish and the fishing in southern reservoirs. You will learn concepts related to the depth, speed, size and action of your presentation. 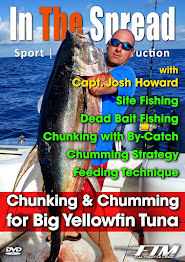 You will also gain keen insights on where fish shelter and why, presenting lures to neutral and negative fish and how to trigger bites. Cory will help you not only select ideal spinning and conventional tackle, but also formulate a multilateral plan of action for your next musky trip. The Southern Reservoir Muskie Fishing Series is a collection of working seminar style videos. This video is part of the Southern Reservoir Muskie Fishing Series from In The Spread with Cory Allen. Cory is a hard-core musky angler, writer, speaker and angling personality from Tennessee. His scientific approach and deep desire to teach affords an incredible opportunity to accelerate your musky fishing learning curve. 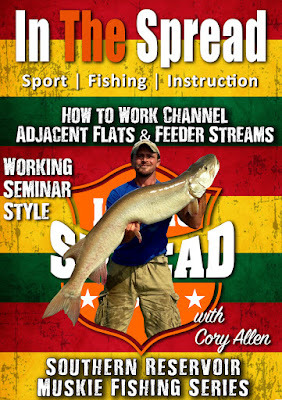 Watch as Cory shares how to Work Channel Adjacent Flats and Feeder Streams. Reservoirs can be an extreme challenge to understand and fish. With this video, you will learn about the flats adjacent to main channels and the feeder streams that flow into those channels. These can be super productive fishing grounds for big fish. Knowing how to work them and why can provide huge results. Learn about breaking down conditions, understanding open water, analyzing topography, lure retrieval techniques and more. This is an advanced muskie angling presentation. 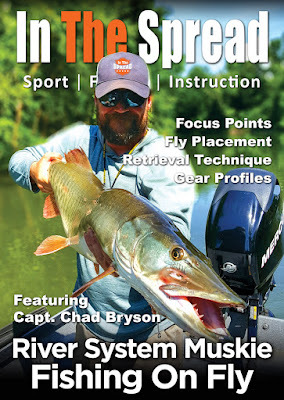 In The Spread and Captain Chad Bryson spent a day on the river this past week to film "River System Muskie Fishing on Fly". 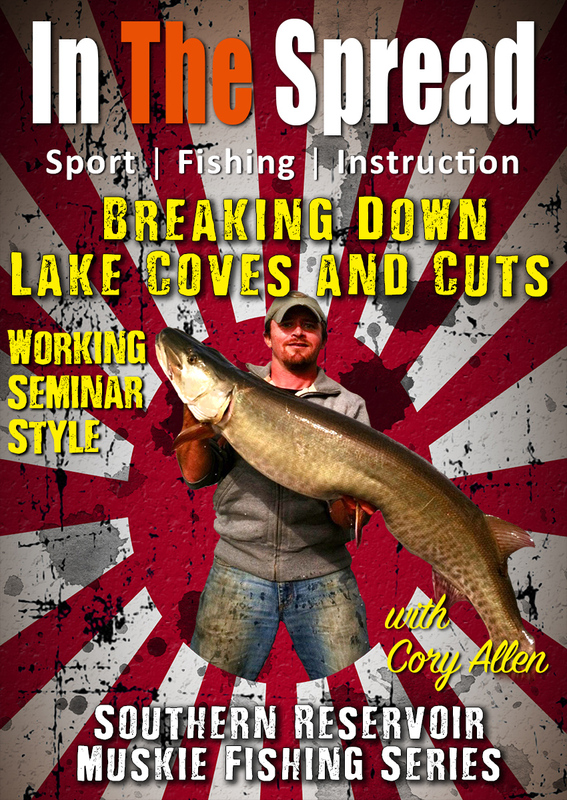 This fishing video will be part of the In The Spread Muskie Fishing collection real soon.